The Joëlle scarf consists of a layer of bouclé and warm suedine. In addition, the scarf is richly finished with a blue and gold application on the blue border. The combination of these chic fabrics gives her a luxurious feeling and appearance. The Deluxe Scarves from Spicy Scarves consists of three layers of luxurious fabrics. Layer 1: skinny layer of jersey with on the one side dashes and on the other dot print in blue and white finished with a blue and gold application. 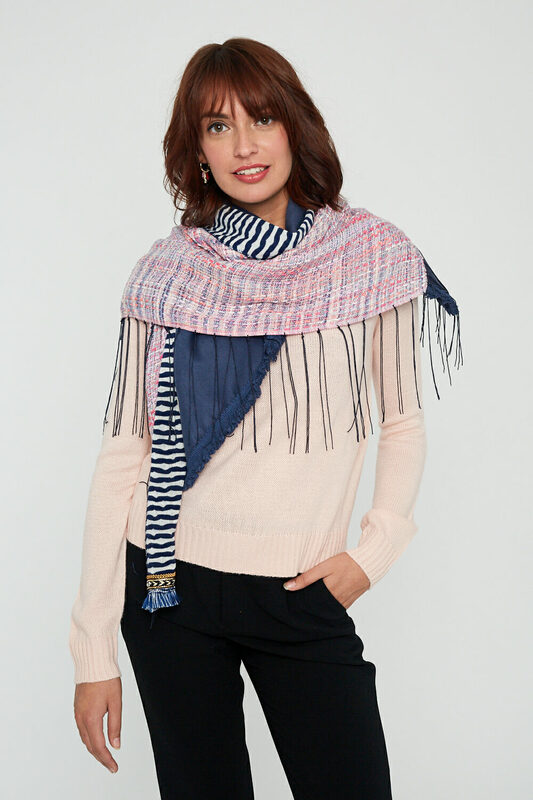 Layer 2: a triangle of pink and blue bouclé with hand knotted fringes. 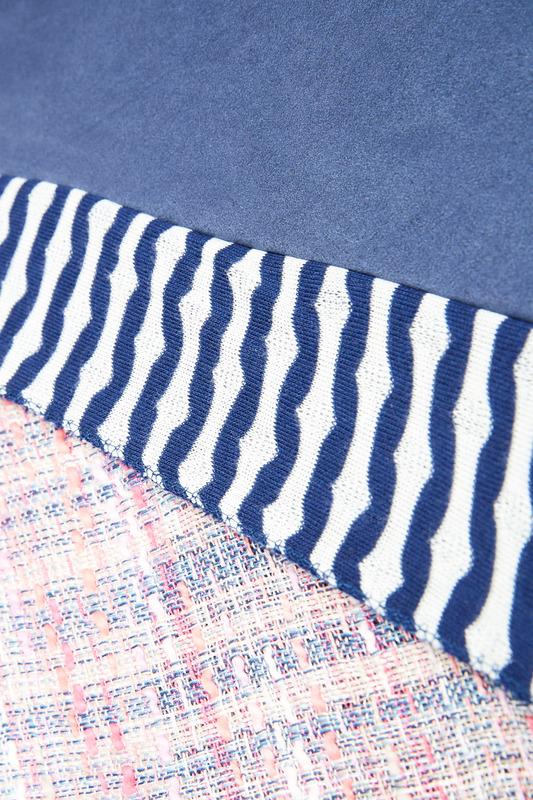 Layer 3: triangle of suedine with short fringe in navy blue. 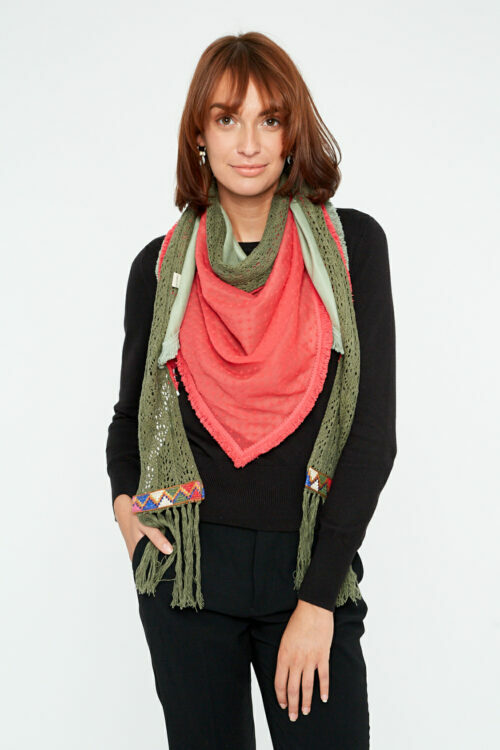 The scarves are reversible and you can create different looks with the three layers. You can wear them as a scarf, as a shawl or as a cape. The Deluxe Collection of Spicy Scarves is handmade in our atelier in Amsterdam. Hand wash cold, short and delicate program. Tip: use a laundry bag or pillowcase. Iron on the inside of the fabric with the right temperature.